Reducing inflammation may improve the health of overweight people by reducing inflammation and thus reducing the multitude of side-effects that go along with that inflammation. 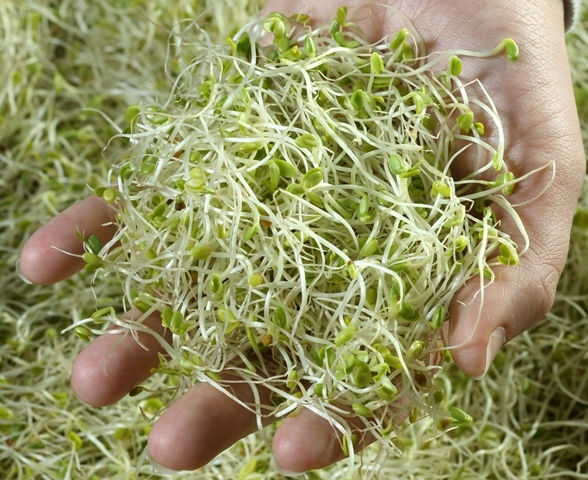 Incorporating broccoli sprouts or supplements rich in their biologically active phytochemicals into a regular diet could be beneficial. The anti-inflammatory effects of phytochemicals glucoraphanin and sulforaphane are outlined in a recent paper from by a group in Spain, published in the journal Clinical Nutrition. This work was also summarized by Mariann Garner-Wizard in the American Botanical Council’s HerbClip Online.